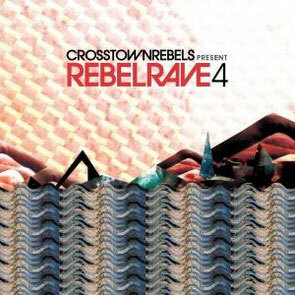 Rebel Rave 4 is a compilation mix across three discs with rare remixes and special cuts from the label Crosstown Rebels. The mix highlights material from former Bloc Party performer turned solo artist Kele Okereke, standoffs between Totally Enormous Extinct Dinosaurs & Eats Everything and Jamie Jones & Luca C and interpretations from Cassius, Dixon, Adam Beyer, Tale Of Us, Maceo Plex, Herbert & more, these are future classics to shift your senses. Berlin-based Matthew Styles steps up to curate. As the former label manager, he shaped and sculpted the first five years of the label’s existence, giving him an unrivalled insight into its foundations. His selection and integration attests to this with tracks from the likes of Seth Troxler’s The Royal We, Radio Slave (Canvas), Josh Wink, Mr G, Matthew Jonson, Freaks and Rob Mello. “Putting together the track list for this mix, and listening to songs that spanned 12 years, I am still surprised by many of the records we worked all those years ago and how well many of those classics have stood the test of time. There is so much variety and it´s hard to pigeonhole, but I hope to have put some of my perspective on Crosstown Rebels.” Matthew Styles on 'Rebel Rave 4'. Firmly schooled in the history of dance music as a DJ, Matthew’s father was a disc jockey by trade and long time member of DJ culture pioneers DMC, instilling in him the age-old tradition of moving a crowd with music. From a recording career on imprints such as Running Back and Classic Records and regular appearances at clubs such as fabric, Watergate, T Bar, Harry Klein and the aforementioned Panorama Bar, his priority has been intrinsically placed with servicing the needs of a dance floor. Crosstown Rebels started their mission in 2003 spearheaded by Damian Lazarus. The label has inspired many dancefloor moments and nurtured many music makers. Soon to be entering its 12th year of dance music, it remains extremely popular.